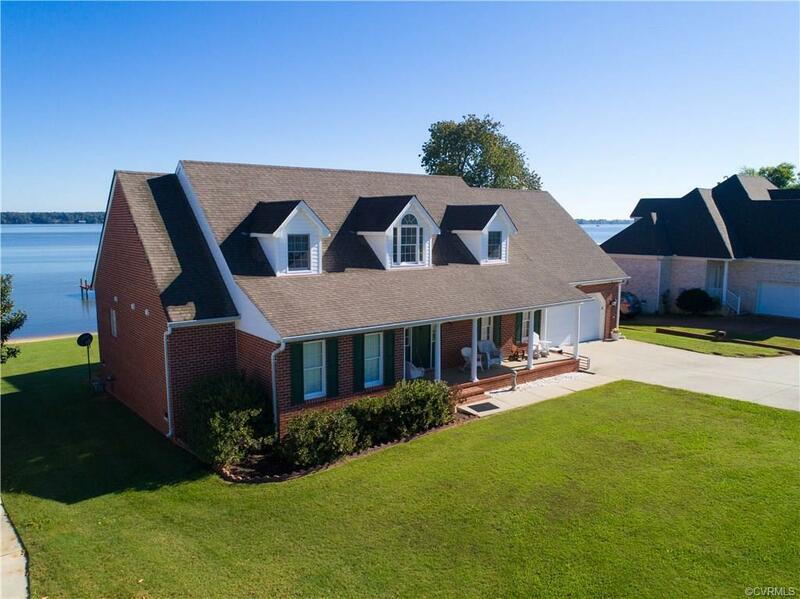 Exquisite custom home with amazing views of the James River. If you love the water this home is for you with a 100' dock, boat and jet ski lift and over 150' of water frontage. It also features 5 bedrooms and 4 full bathrooms, formal dining room, large family room with fireplace and custom built-ins. Large Florida room with a breathtaking view of the water. Eat-in kitchen with island, granite counter tops and tile backsplash. Hardwood floors throughout. 1st floor Master Suite with bay window and river views, 2 walk in closets, jetted tub. There is a 2nd bedroom on the first floor with en suite bathroom and walk in closet. The second floor features a balcony overlooking the family room and 3 large bedrooms with walk in closets. One bedroom has its own private staircase. Other features include a whole house generator, oversized garage with enamel floor and utility sink and so much more! Located on a quiet cul-de-sac close to Jordan Point Marina. Don't miss your chance to own the waterfront property you've always dreamed of!